Ultimate Support is proud to make available the finest Entertainment Skirts for tables and speaker stands. Our Entertainment Skirts are made from wrinkle-resistant polyester that is both durable and fire resistant. They're perfect for mobile DJs, sound and lighting companies, banquets, catering, trade shows, schools, hotels, restaurants, weddings, and many more situations. 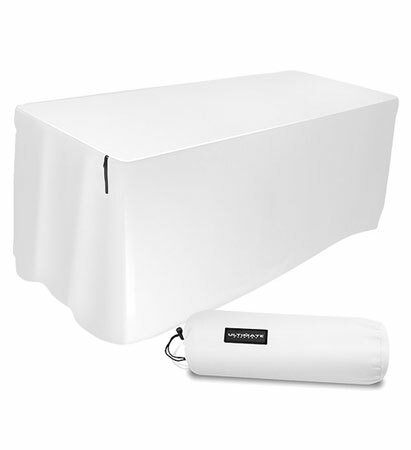 They dress up any table or speaker stand while allowing for private, hidden storage underneath. 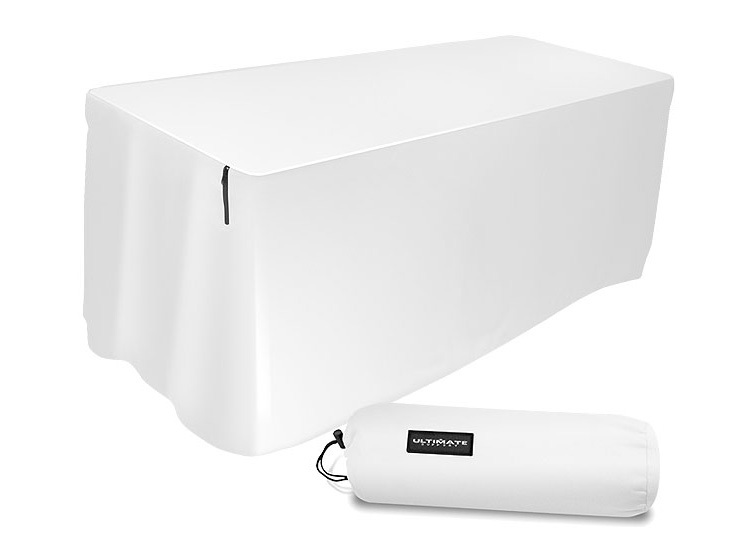 Available in black and white colors, Ultimate Support Entertainment Skirts are form fitted to exact size, may be folded or rolled up for simple storage, and are machine washable.